If you’re looking for MVP health insurance quotes, you need not go far. Vista Health Solutions can connect you with leading health insurers in your area. With Vista Health you can find reliable health insurers with quality health plans like MVP health insurance. We make finding health insurance convenient for you. By entering your zip code you will find all the plans available for you including MVP health insurance plans. Our site makes it easy for you to compare the plans side by side. And should you need any clarification, you can just call our customer service number and our representatives will gladly assist you. In 1982 MVP Health Care started when physicians and community leaders of the Schenectady County Medical Foundation formed an HMO (Health Maintenance Organization). They then eventually extended to Saratoga, Central New York, the Southern Tier and the Hudson Valley doing business as Mohawk Valley Physicians Health Plan(MVPHP). In 1995, they changed their name to MVP Health Care since their operations went beyond Mohawk Valley. The following year after, they expanded to Vermont and became the largest health plan in the entire state. 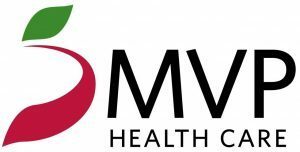 MVP Health Care now operates in New York, Vermont and New Hampshire. They have over 750,000 members across those three states. MVP members experience regional excellence in health care while having access to a huge network of health care providers throughout U.S.A. MVP offers a wide variety of plan options, pharmacy coverage, financial tools and funding solutions. They as well offer Medicare Advantage Plans known as Preferred Gold. This plan is considered as the number one Medicare Care Advantage Plan by the U.S. News and World Report and the NCQA. Please use the link above to generate an MVP Instant NY health Insurance quote.